He really, really, REALLY wants one. He'll take really good care of it! What's the matter--don't you want him to be happy? The latest book in the best-selling Pigeon series is the funniest one yet. 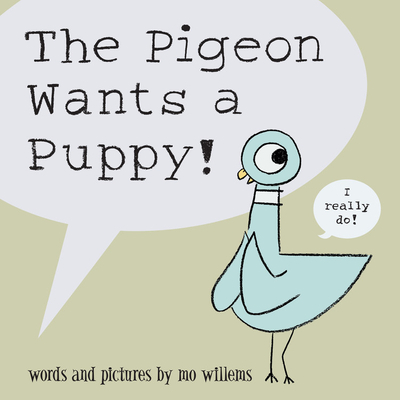 Mo Willems is the author of groundbreaking picture books, including; Knuffle Bunny: A Cautionary Tale (Caldecott Honor winner 2004); Don't Let the Pigeon Drive the Bus! (Caldecott Honor winner 2003); Don't Let the Pigeon Stay up Late! ; The Pigeon Finds a Hot Dog! ; Time to Say "Please"! ; Leonardo, the Terrible Monster; Edwina, the Dinosaur Who Didn't Know She Was Extinct; and the Elephant & Piggie books, a new early reader series.